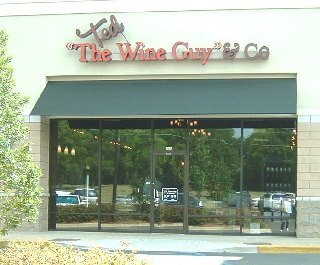 Ted The Wine Guy & Co. - Welcome to Ted the Wine Guy & Co.! Ted The Wine Guy & Co. Welcome to Ted The Wine Guy & Co! Our ongoing mission since we opened in June of 2007 is to provide the best wine selection and the most knowledgeable, courteous customer service in the Montgomery area. Come visit us and discover a fresh approach to wine. You’ll experience a beautiful, modern store with a customer friendly environment, wines for every budget from all over the world and a dynamic showcase of wines in our temperature-controlled cellar. 20 wines, rotating periodically, for Club Members only at deep discounts. We are located in the Zelda Place shopping center on Zelda Road, between Publix and Starbucks. Locally owned and operated by Ted Klose and Scotty Scott.